So Mr. Paddock passed away due to lung cancer, and they’d like contributions to something that could potentially help someone like him in the future. If I passed into eternity, where would I like contributions to be made? I haven’t come to my conclusion quite yet, but here are a few ponderings. I love giving to missions (aka people who serve Jesus by serving others…well, that should be all followers of Jesus…but more specifically, those who are depending on others to support them financially and prayerfully). That’s a definite possibility. You can’t deny the fact that I love kids and teaching, so it would also make perfect sense if I wanted donations made to the school I work with, or for there to be a one time scholarship made to a current student of mine at the time (or even former student of mine). Cancer has reared its ugly face in my family (most recently with my mom’s sister who was just told that she had cervical cancer and only a few months to live), so I could very well like to also give to the American Cancer Society. What am I most passionate about that needs money? I’m not ready to answer that question just yet, although to be honest, the book thing made my heart beat a little bit faster. I don’t know though. It’s an interesting thing to think about though, huh? On the Edge of their Seats! 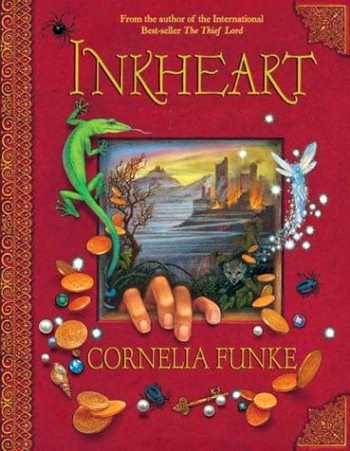 So my coach, Susan, mentioned this book called Inkheart, by Cornelia Funke to my class, right before Christmas break. 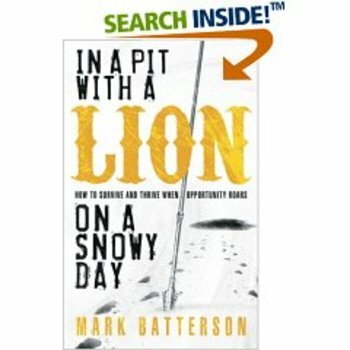 I’d never heard of the book before, but she told my class that I would spend some time over my break to go buy the book so I could read it to them. (How thoughtful of her! :) Well, because I tend to like most of the things Susan suggests to me, I decided to do just that, and I purchased this (somewhat) enormous little novel to read to my kids. It’s deeply rich red cover is kind of inviting anyway. Of course, after I bought it I realized that she’d already ordered it for my classroom…we just didn’t realize it! But oh well, one can never have too many books in a classroom…especially a teacher like me! By the way that she talked about the book, I was kind of antsy to get started on it, but I waited until the day we went back to begin reading it. Everyday, now, I go to open this book and my kids’ little patoots are on the edge of their little seats! This book is so fantastic that I can literally stop at suspenseful moments and pretend like I’m going to stop reading, every few pages if I wanted to! And when I do stop…oh the groaning and pleading that happens! It certainly tickles my funny bone in special ways, and as a teacher, I love that they love it when I read to them. Reading to kids causes their own hunger for reading to increase dramatically, because they realize just how much fun it can be! There’s no reason why they can’t steal away into their own little bookworm world on their own, outside of the classroom too! I would recommend Inkheart, but with supervision, and censoring if you so desire. It has some slightly vulgar language during certain parts, but because I’m reading it to my class, I don’t actually say those words. Plus, I have a couple boys who are reading it in my class, and they’re the ones that pointed the words out to me. It was a great teachable moment to say, "You know, sometimes we come across things that we know are inappropriate for us to say or express, and we have to decide what we’re going to do with them. What do you think? Would you have the right to speak like that in class, just because I let you read a book that says that?…Right…so we have choices to make! That’s all." Tuesday nights @ 7 I get to spend time with a really awesome group of people at the Southfield Public Library. They make up my Lifegroup. Although I would have never just randomly put these people together to just "hang out", for some reason this group makes sense and is so great! A couple of people were new tonight and a couple of people were out tonight…they were missed. Put everyone together and it’s so much fun! Tonight I started my group off with a KWL chart about fear. 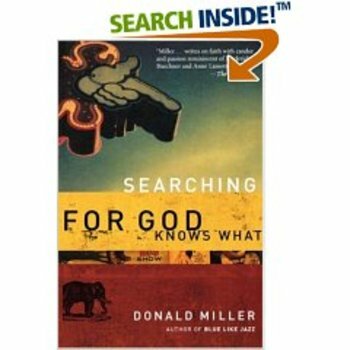 KWL is a "before reading" strategy that teachers teach kids to do…write what you Know, what you Want to know, and then what you Learn. I wasn’t too sure how my group of adults would take to my "classroom" strategy, but it actually seemed to go as well in our group as it does in my classroom! Yay! preached on fear two days ago, and it led perfectly into our discussion tonight. (Thanks, Brad! :) We had some great, authentic discussion, and it whetted my appetite for the discussions that we’re going to have these next couple of months, as we wrestle through this together. It pumped me up! We ended our night by doing something that I used to do as a Discipleship Leader, back in college…and we did something similar a few weeks ago, too…we wrote to ourselves. We wrote down fears that we have about our current life, and fears that we have about the future…things we want to overcome. We sealed them up in labeled envelopes and I’ll return them in a couple months-or perhaps the fall.